A fast cleaning, low cost, durable media for all blast cleaning. Peerless Steel Shot is a wrought carbon steel blast media whose performance is superior in durability and cleaning to that of standard SAE grades of steel shot. The wrought steel microstructure contributes to higher strength, greater fracture resistance and longer life. Peerless Steel Shot has a unique particle shape and it has a higher specific density of 7.8g/cc versus cast steel shot and grit having an SAE minimum spec of 7g/cc, which will reduce your cleaning cycle with no increase in maintenance cost. Peerless Steel Shot is produced by a proprietary process giving an excellent blast media with a hardness of 44Rc, the same hardness as standard cast shot. Peerless Steel Shot is cold worked, causing all the surfaces to be peened, and resulting in a product that is of a greater durability and cleanliness than standard SAE steel shot. 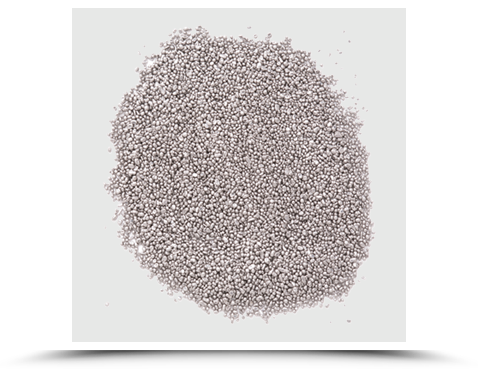 Peerless Steel Shot is ideally suited for centrifugal wheel blast or air-blasting applications and is available in all SAE sizes. Standard forms of packaging include: 2,000 pound non-returnable steel drums on a pallet; 50 pound bags, boxed and palletized and 2,000 or 4,000 pound bulk bags suitable for handling with a fork-lift or a crane. The combination of a lower purchase price, along with excellent cleaning and superior durability make Peerless Steel Shot an attractive economical blast media that will lower your cleaning cost. Peerless Steel Shot is currently being used in the automotive, rail, shipyard, foundry, forging, pipe-coating and many other industries. If you are cleaning, deburring, deflashing, etching, or any other surface preparation or blasting operation you need to try Peerless Steel Abrasives. It will lower your cost and improve your finished products. For technical assistance, help with abrasive size selection or other assistance related to your blast operation, please call Peerless Metal Powders & Abrasive: 313.841.5400.